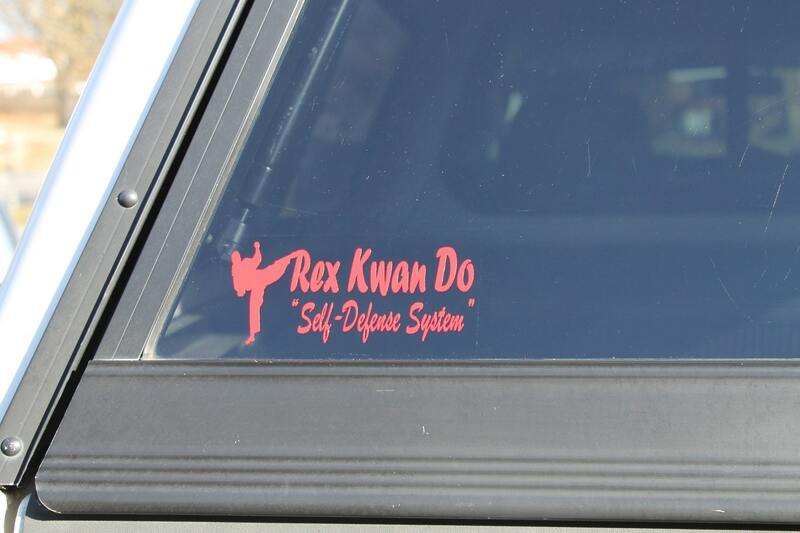 Rex Kwan Do martial arts school decal. Approx. 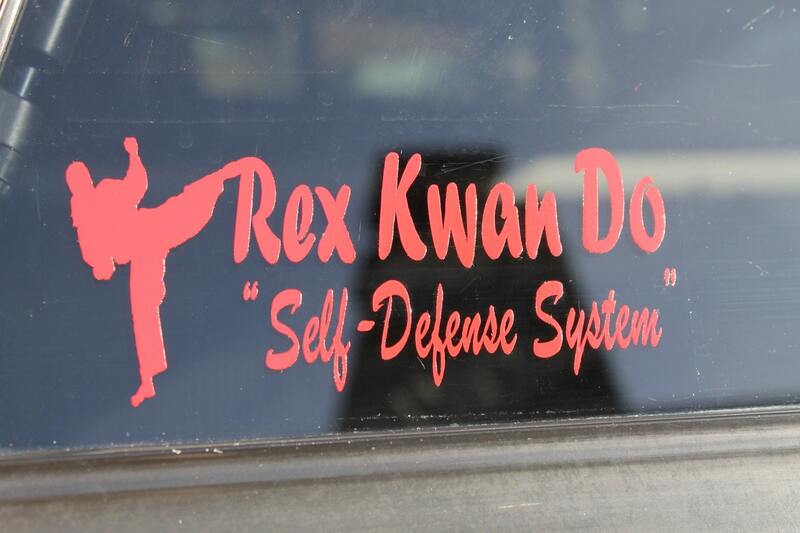 size 2.5" x 5.5" Long lasting 5yr outdoor vinyl. Easy to apply. Bright colors! Everyone will be asking "Where did you get that?" Made in the USA with American made Freedom Cal vinyl. ****ALL of our customers will receive a FREE surprise gift. 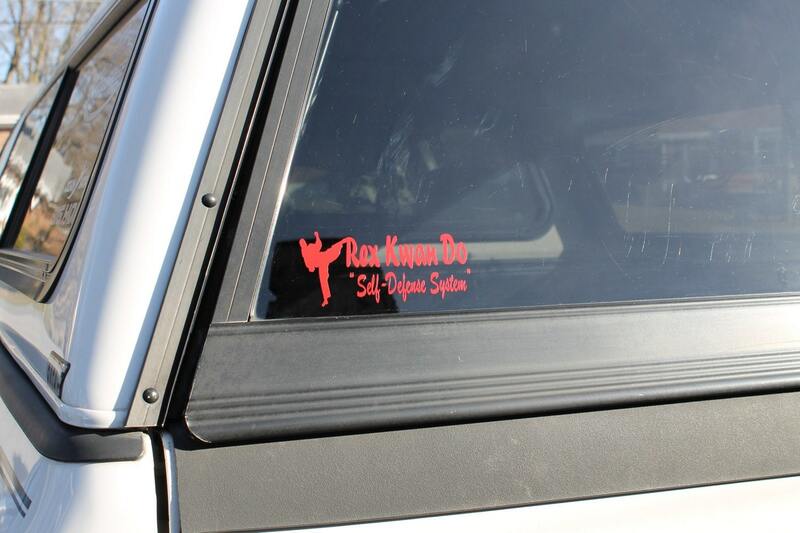 Fantastic looking sticker! Shipped fast; great seller. Thanks for the bonus! Super sweet item, and it shipped fast. They even threw in two extra decals for free!